Keeping user in mind, our air bag valves are designed to provide the user with reliability, great looks and excellent air flow! 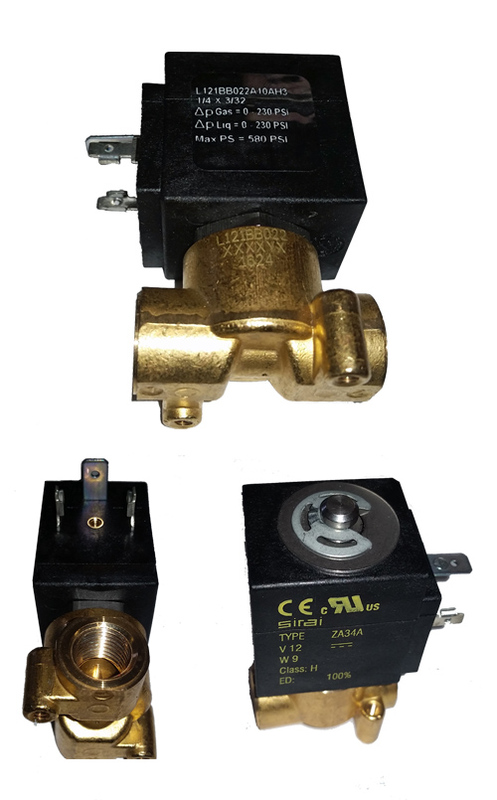 The unique design of our ASCO air bag suspension valves provides high air flow with minimal power consumption, or power required to open the valve. With the capability of being able to handle a 300psi inlet pressure, these valves can handle any on-board air compressor system used for air bag suspension! Having used these air suspension valves on virtually every custom air suspension install we do, we know how great they work and we recommend them every time! Our 1/4 inch air valves are feature packed and are assembled with the highest quality valve components! Our valves have heavy duty internal rubber grommets and o-rings, stainless steel hardware, and very durable solenoids to handle the abuse of any air suspension system! With the 1/4 inch ports and a 5/16 inch (8mm) internal orifice, these valves will offer you a slower lift or lowering speed and are ideal for hotrods, air horns, or even air shocks. Installation simply requires screwing in your air fittings and attaching your 12 volt power wire and chassis ground wire to the valve! 5/16 inch (8 mm) internal orifice allows the air to flow at a slow speed. You Save $10 by shopping with us!